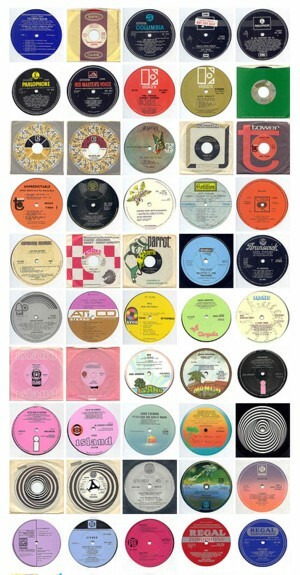 The Beatles, The Rolling Stones, The Who, Procol Harum, Cream, Graham Bond Organization, British jazz, Amancio D’Silva, Don Rendell, Ian Carr, Manfred Mann, King Crimson, Godley & Creme, 10cc, Yello, Lucio Battisti, Lio, YMO, Y.M.O., Golden Earring, Pizzicato Five, Cornelius, Yann Tomita, Mute Beat, Iron Butterfly, Revillos, Rezillos, Howard Devoto, Momus, Divinyls, Les Rita Mitsouko. I like the labelshots that he put on the site. I remember that i once read in Prime Time Magazine how odd it was that there were no books with labelshots (this is more than ten years ago: i guess there are many such books now?!) 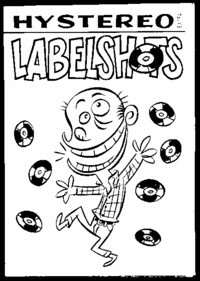 and i decided to make a zine called Labelshots. I asked everybody i knew to send me photocopies of the labels of ten of their favourite singles. After two issues the zine died of lack of cooperation, but i think that Labelshots is worth a second try on a website somehere. While typing this text i listened to a tape that Ron sent me in 1997, made after one of his trips to Japan. I remember the tape very well, because i played it a lot. Apart from the Pizzicato Five, all music on the tape was new to me. Tycoon Tosh, 5th Garden, Miharu Koshi, Fantastic Plastic Machine! In 1997 the tape seemed to be sent from the future, but even today many of these bands still sound futuristic. But the song i want to share with you does not sound futuristic at all: Monster Tragedy by a band called Jackie & The Cedrics.